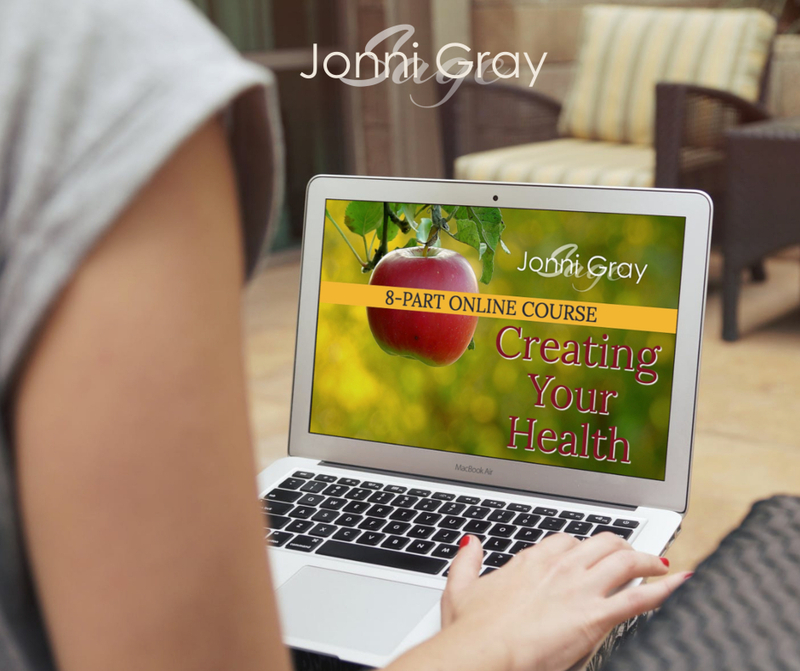 'Creating Your Health' is an 8-part self-study eCourse that really explains what’s going on with your body. Most people take their bodies for granted. Until something happens. Maybe it's an accident. Maybe they get ill. Maybe they receive a diagnosis of a disease. Then they ask, "What's wrong with me? ", followed by "Why me? Why now? What did I do wrong?" We train them when we remember, and then hope for the best. Wouldn't it be to your advantage to understand your body in its wholeness? To be the Dr. Dolittle to your body? I'd sign up for that. When I listened carefully, the collective question 'at this time' was, "How can I control the uncertainty of my body?" The answer, of course, is, by understanding it, by truly speaking its language, by full-on back and forth communication. The sooner you can fortify your connection and communication with your body, the more robust you will be for the continued swaying of uncertainty this evolution promises. I don't know about you, but I want to bring my dense physical body up from the three-dimensional only understanding, to the higher connectivity of it all. I want to do that step-by-step as though learning a new language. In Sage's words: "We are here to help you remember what your body is saying, how the messaging is translated, what you take and give from that messaging." They continue: "What we are discussing within this focused theme are the illnesses, the diseases, which your body creates. We are here to speak to you on the pattern repeats that are within your control, within your ability to create." In these 8 sacred messages, Sage begins with your dense physical body and moves up the communication and spiral, connecting all your 'bodies' together. I remember back in the ‘80’s when I first picked up a copy of the New Age book, 'You Can Heal Your Life' by Louis Hay. It was mind-blowing to see the connections of thought and belief and physical symptom. But it stopped there. Now, as we enter the Soul Age, the age of integration, you must bring your body with you into the multi-dimensional realities we know. As co-creators of this greater reality, you are not dealt a 'bad luck' health hand you have no control over. You have the power to take control by understanding the language of your body in the balance of feminine/masculine integration. I look around and see illness and disease everywhere, don't you? They are in my family, in my social circles, in the worlds I peer at in social media. Every time a popular celebrity announces a health situation or crisis or you find they have exited the planet due to one, you have the opportunity to look beyond the three-dimensional physical-only reality, and put on your expanded reality lens. All those experiencing illnesses, diseases, and health concerns model something for you if you pay attention. But what they are modelling isn't always clear, because you may only be seeing a limited perspective. But if you had a larger, more connected soul perspective, it would lift the blinders of three-dimensional physical reality-only off. Then you would have understanding. Then you would have choice. Choice. Yes, choice. You limit your choice when you work with three-dimensional only reality. You battle, you fight, you try 'everything’. You struggle, you give up. You're battling yourself, of course. Not the disease or condition. Yourself. You give up on ourself too. And there's another way. SO WHO IS THIS ECOURSE FOR? This eCourse is for those who know they need to up their knowledge & understanding of their body and health so they can lead a more integrated, fuller life for self and others. 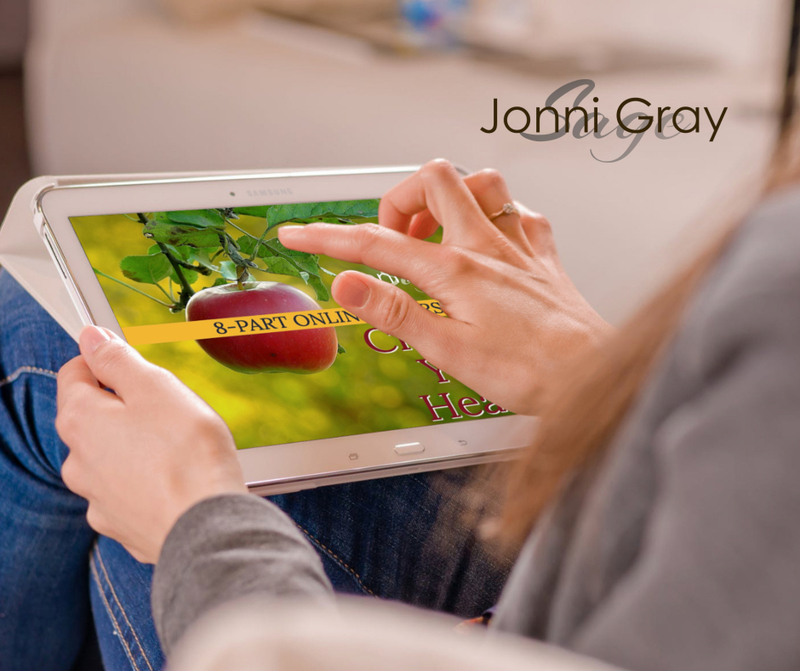 This eCourse is for those who want to seriously activate more universal truth and lasting health behaviours for themselves as they engage with world’s fast-paced changes, quickly and swiftly. This eCourse is for those who are ready to commit deeper to living the life they came here to live, in robust health, thriving, rather than reactively scrambling. •You see your thoughts, your behaviours, your actions. •You see your history - both biological and 'past life' lineage. •You see how it all contributes, and what you can do about it now. As Sage says in these messages, "When dealing with the physical-only 'curing', there will be the misunderstanding that this is a physical-only experience and expression that is occurring." But it's so much more than that. And it's time to deal with it now. "We tell you it is time to create your Soul Age body, and so you are dealing with your dense body through the spiritual New Age understandings and more at this time." If you've been waiting for a sign to start, a sign to stop, a sign to prioritize, a sign to uplevel, this is it. You don't get very far in life as a human-only, or as a multidimensional being on a mission, without this container you call your body. It's a sacred, intricate system that connects with your mind, your emotions, your spirit, your soul. How you care for it, love it, honour it, respect it, manage it, nurture it, move it, fuel it, think about it... - is vital. And necessary. You don't get very far if you don't. In these 8 sacred messages, Sage gets into the body in detail, so you have choice and direction and all you need, to take matters into your own hands. It’s more common to focus on your looks, on your weight, on the latest trend of eating and moving the body, yet Sage says you must begin with the densest most repetitive behaviours and thoughts you have as preparation for creating your Soul Age body. It's in the whole understanding and ‘consistency of application’ that you can co-create the health and vitality you will need for the journey ahead. The world is in an unstable position. You see it all around you. The 6 o'clock news is on 24/7 now because of it. The times are rapidly changing and your body must align in order to forge ahead and carry on with the mission you came here to take on, the soul's purpose you agreed to. Without your vital health, your focus is on self-only. You move into fears, vulnerabilities, self-absorption, victim-hood, repeating your patterns from previous lives again and again. This is the life you said you would get out of that loop. This is the life you said "I need to change that cycle. I need to elevate for myself and for my past and future lineage".